Tokyo Ghoul Season 3: If you ever wondered which Anime would be the best in dark theme, then I would say Tokyo Ghoul would stand top of all. 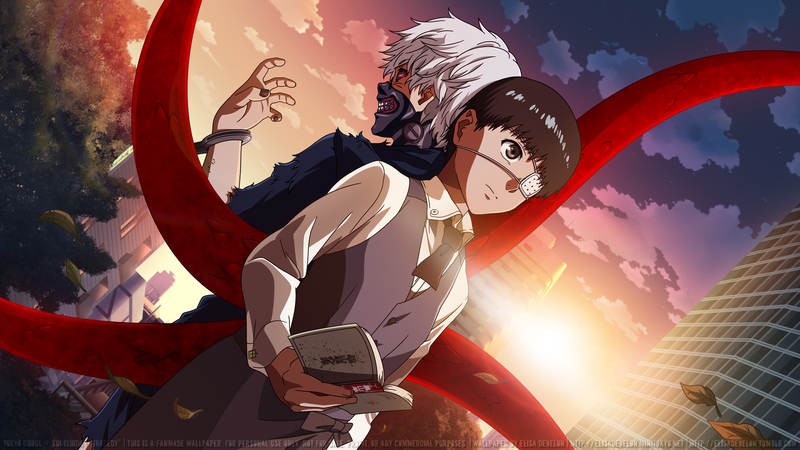 Well there are few more anime like Mirai Nikki and Darker then black, but if you consider Tokyo ghoul then no Anime would be able to match the shows perfection. Keep that aside in this today’s topic we will be discussing more about the Tokyo ghoul season 3 official release dates and when will be the Tokyo ghoul season 3 episode 1 be released online. If you don’t have an idea about what this anime is about then let me introduce you by sharing some of the anime storyline that will amaze you to be sure. Well as the title suggest this anime takes place in Tokyo city where strange murders are being taken place, and the ones responsible are Ghouls. Ghouls are living creature that lurks through the city of Tokyo and they only eat human as food. Let me tell you that I have been watching this anime show from the last two seasons and I find it very much interesting to watch. This show has a dark theme with proper fight scenes, man eater ghoul concept which makes it really good. So, this solves the strange murder cases but there are some rare ghouls, like one eyed which are believed to have superior powers. Here is when the story starts to begin when our MC Kaneki Ken is about to be killed by a ghoul that he thought was a nice girl, but at the end due to certain circumstance she dies. But at the same time MC organs are swapped with those of the Ghoul and thus his life turns upside down, because he’s now a half ghoul and half human. So the Tokyo ghoul season 1 is more of an introduction to all ghouls and important characters that fill their roles in the season 2 as well. The season 1 was aired July 4, 2014 to Sep 19, 2014 for 12 episodes entirely. But the second season becomes even more interesting when MC starts to understand his monster side, but that aside he creates a team and joins with the CGG(Ghoul killers) to protect the ones who are close to him. You are about to witness more of action and even drama in the season 2 which aired from Jan 9, 2015 to March 27, 2015 for 12 episodes entirely. Now that you understand how the anime proceeded with both the seasons, fans are wondering when the season 3 will be released. To be frank I am still waiting for some official news, but recently the production team of Tokyo Ghoul at an event said they were going to produce a live action movie. Well since the anime did so well, it is correct to assume that production would want to make a live action movie based on the Manga. So, to all those fans that are wondering when the Tokyo ghoul season 3 will be released has to wait for some more time. It is so because the movie is being preceded now but it might be released in 2017 or in the spring of 2018 hardly. Once the movie is released, then the season 3 official release dates will be announced, but to my understanding the season 3 will air during spring of 2018 actually. Well this is just an assumption but it the anime is sure to take some time before we get to see it online. I guess it is time to end this post but before we do so let me tell my review on this anime, because I have been watching this for a quite a bit now. Sometimes there are anime that will make you re watch them but Tokyo ghoul stands atop of all because it has great character development and drama which makes more sense to me. This anime is not just being wonderful creatures, but the story of how one can stand and save his comrades, at the same time making you laugh and cry as well. There are actually 24 episodes of Tokyo ghoul from both the seasons, and I guess watching these 24 episodes will surely get you pumped up for season 3 that is to come soon.